The far-right has not been represented in parliament since the 1950s, a reflection of Germany's efforts to distance itself from the horrors of the Nazi Holocaust. Brussels/Berlin: Jewish groups in Europe and the United States expressed alarm on Sunday at the far-right Alternative for Germany's success in Germany's parliamentary election and urged other parties not to form an alliance with the AfD. 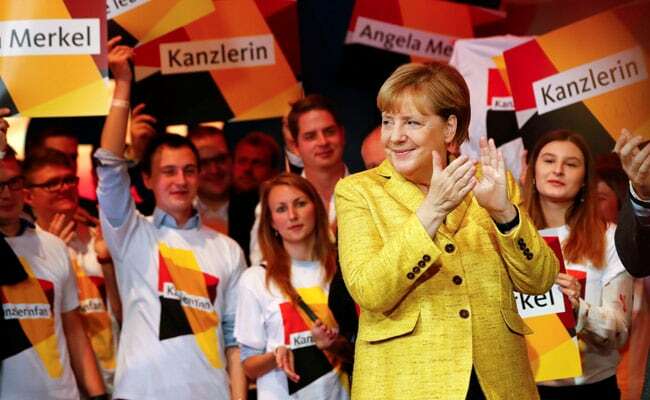 Early projections gave the AfD 13.5 percent of the vote, allowing it to enter the Bundestag for the first time, as Germany's third-biggest party. Ronald Lauder, president of the New York-based World Jewish Congress, called Chancellor Angela Merkel a "true friend of Israel and the Jewish people" and decried the AfD's gains at a time when anti-Semitism was increasing across the globe. "It is abhorrent that the AfD party, a disgraceful reactionary movement which recalls the worst of Germany's past and should be outlawed, now has the ability within the German parliament to promote its vile platform," Lauder said. The AfD, which has surged in the two years since Merkel left Germany's borders open to more than 1 million migrants mainly fleeing Middle East wars, says immigration jeopardises Germany's culture but denies it is racist or anti-Semitic. "A party that tolerates right-wing extremist thinking in its ranks and incites hatred against minorities ...will now be represented in parliament and nearly all state legislatures," the group's president Josef Schuster said in a statement.